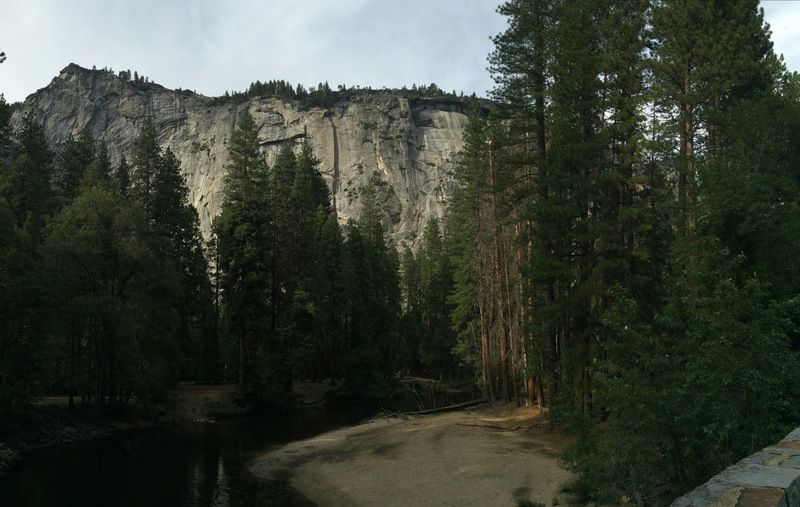 The first thing you notice about Yosemite is the smell. 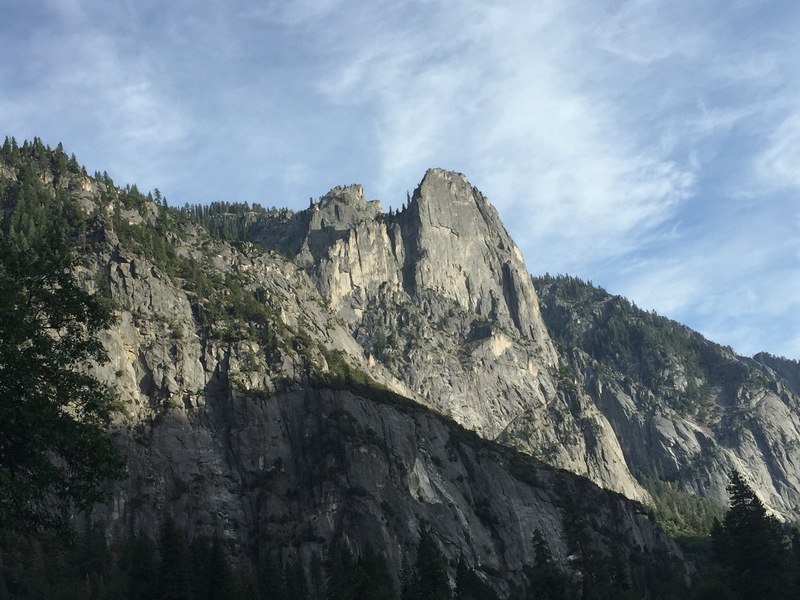 You’ll travel for miles through the Sierras, narrowly avoiding car and cliffs alike, every so often spotting a hint of the valley along the road; a colossal boulder, a winding river chocked with granite, a patch of sequoias sticking out of a cliff at 30 degrees. The anticipation builds as much at the tension, the road would be amazing if it weren’t so terrifying, switchback hairpin turns on an 8% downhill grade, a fatal drop lying only feet away, waiting anxiously for you to make your one final mistake. Then, after your ears pop for the hundredth time, you level out. A magnificent shunt of granite juts out over the road, a natural tunnel heralding your arrival into the valley. 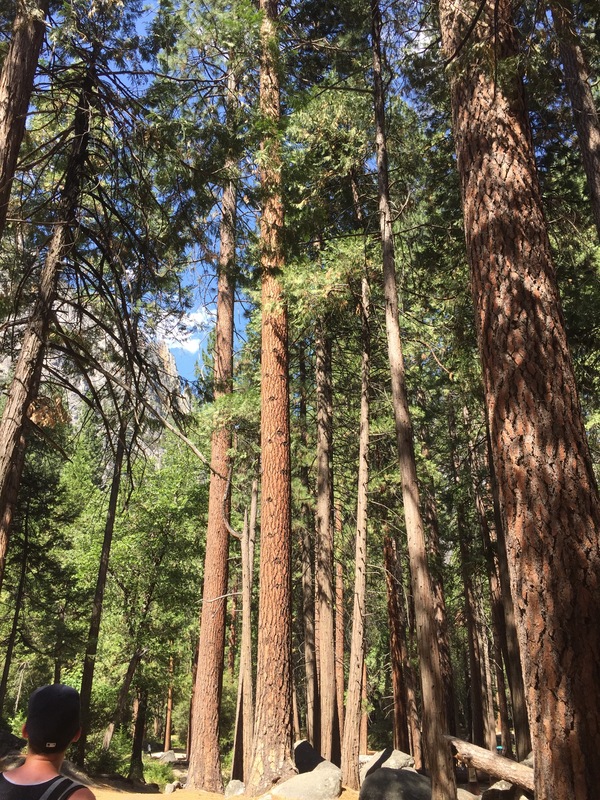 You open the windows, craning your neck to see the trees that time forgot, ancient relics from the Cenozoic era; the Giant Sequoia, one of only 3 remaining species, stands almost 300 feet tall, and is responsible for the first and most notable aspect of Yosemite you will encounter. The smell. The air is as fresh as air gets, and yet it’s laden with the scent of pine and brush. The smell of pine is so thick you can almost see it, but it’s the most breathable air I’ve ever encountered. The ground is a consistenly springy surface composed primarily of fallen pine needles. It’s hard to describe what it feels like to walk across it, but imagine strolling across a very large very fresh mattress, your foot sinks a little with each step, a gentle spray of decomposed pine nips at your heel; it makes it feel like every other surface you’ve ever stepped on has been rejecting you, resisting your very presence upon it, but here, even the ground welcomes you. As we travelled the valley, even the wildlife was influenced by the aura of peace and tranquility perpetuated by the land. These animals have lived, secluded in the valley for thousands of years. Their only interactions with humans have given them no reason to fear us, and so they don’t. 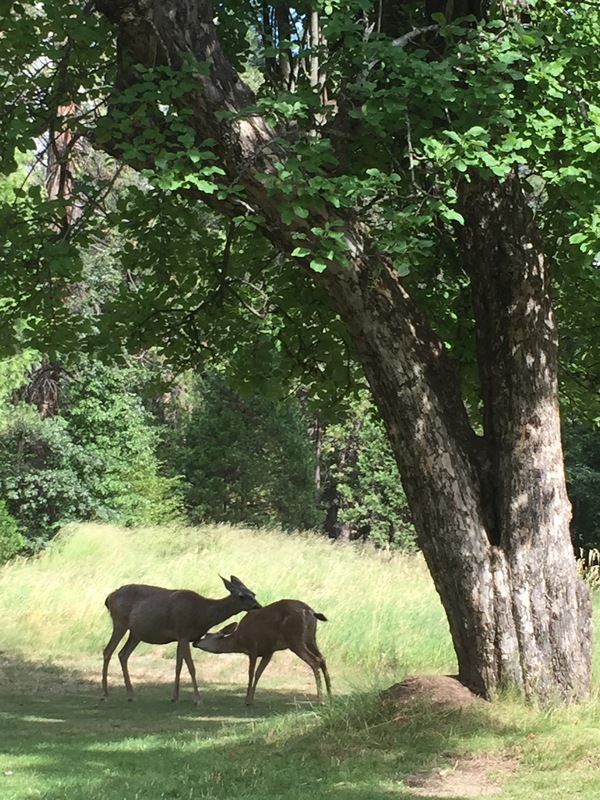 These two deer stopped under the shade of a lone tree to groom each other. We stood and watched anxiously as people walked right past them, fearing such close proximity would scare them away, but no, they paid us humans no mind at all. We got within 10 feet of them, the whole time they just stood there, relaxedly licking each others necks, squirrels darting in and out between their legs, it was too surreal to even believe. 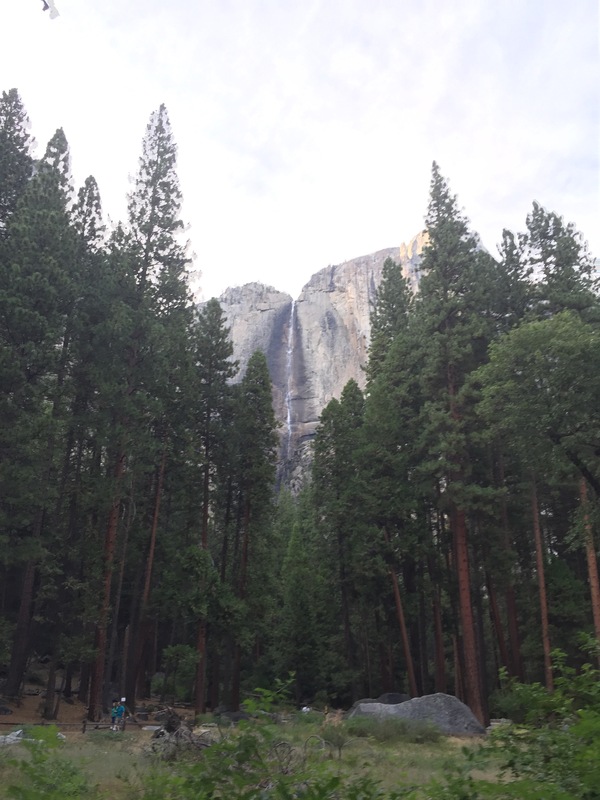 Our first stop as we travelled the valley was Yomite Falls, 3000 feet of falling water that twists across the cataclysmic monuments of granite that make up Yosemite’s mountains. There was no path to the falls, so inevitably we followed suit of the hundred or so other visitors, and made our own. Clambering up the treacherous granite boulders, we made slow progress up towards the base of the falls, the sound of water roaring in our ears. Upon reaching our destination, we did the only thing that made sense, we just sat and looked. 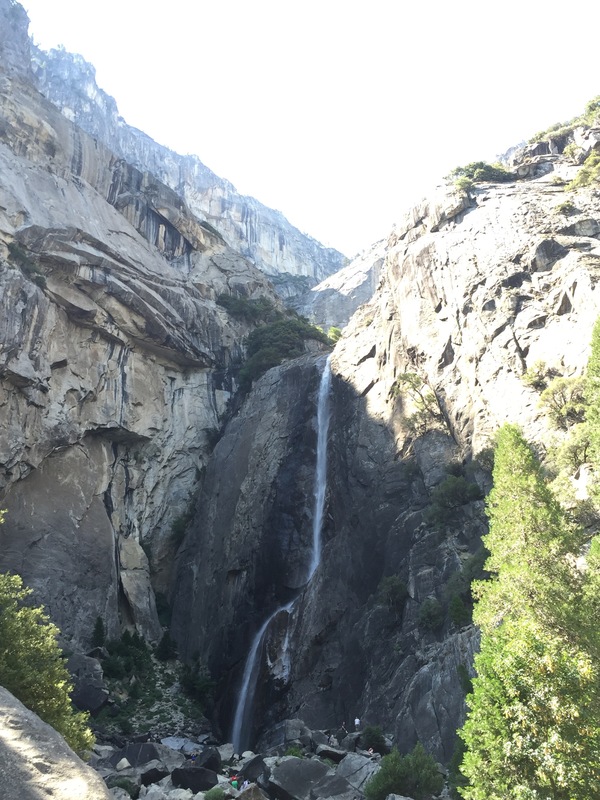 Sheets of water fell every hundred feet or so before slamming into an outcropping and flowing back off into another perilous cascade. Through the binoculars I watched the water slide off the top of the lower falls, it almost looked to be held aloft, it’s fall partially suspended as if to hold on to this moment, the apex of its journey out to some farm in central California. But all too soon it becomes lost amongst the piles of granite, fallen down along the same vertical path as the water it now shields. After oir rewarding trek to the falls, it was time for the main event. 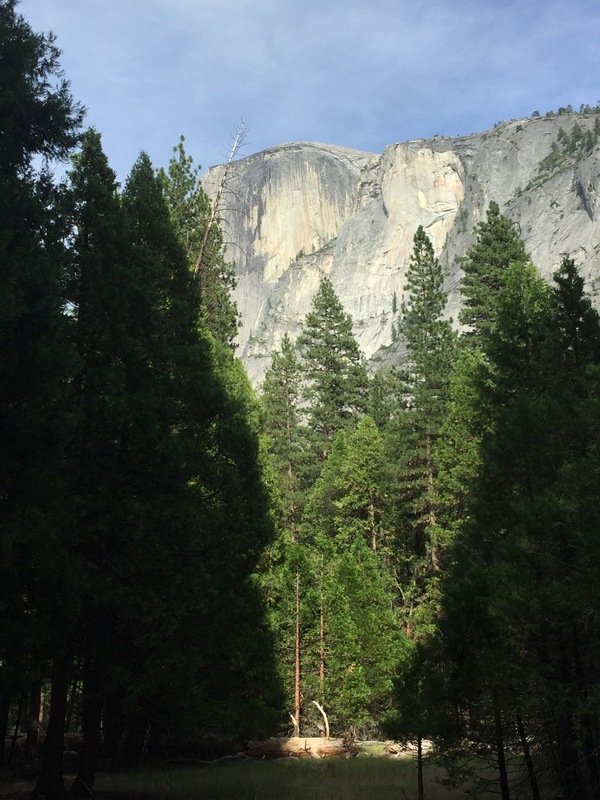 Our hike to the Half Dome. 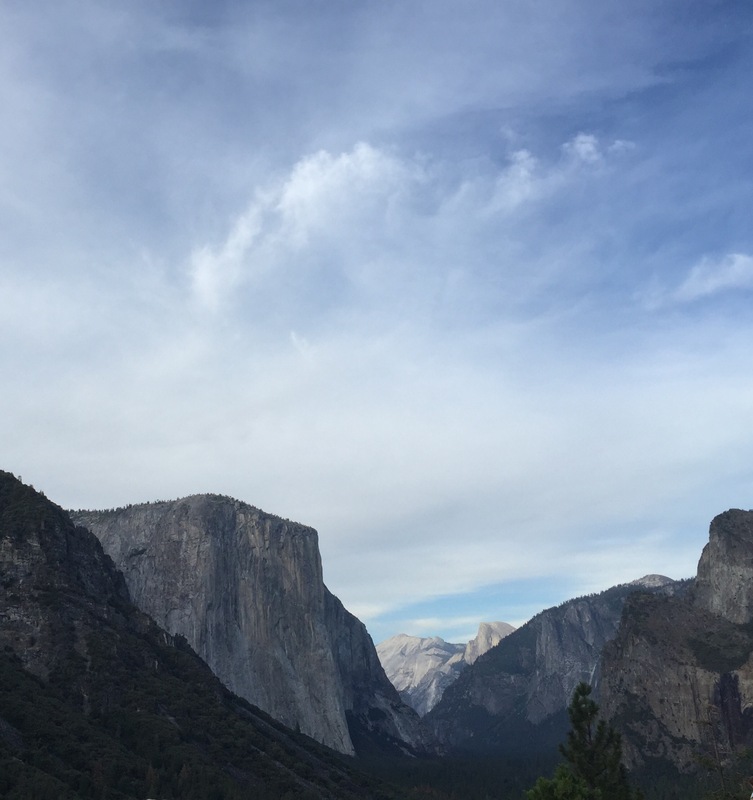 On our way we passed El Capitan, sister summit to the Half Dome, 8000 towering feet of granite, exposed to the world over millions of years via nothing but the wind and the rain. 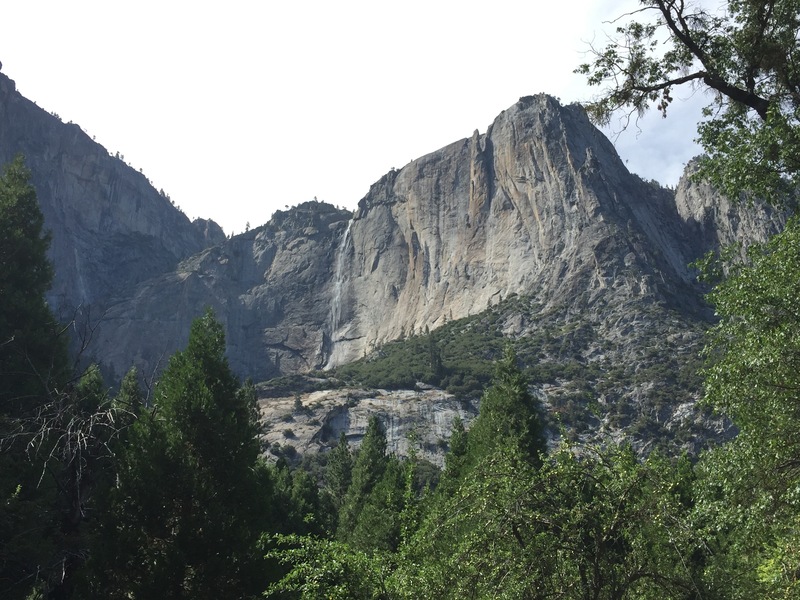 Possibly the most amazing thing about Yosemite is the fact that the tops of the mountains and peaks actually used to be buried thousands of feet underground. A lot of the Earth’s crust is comprised of granite, but usually you have to dig a while before you hit in in such high concentrations. 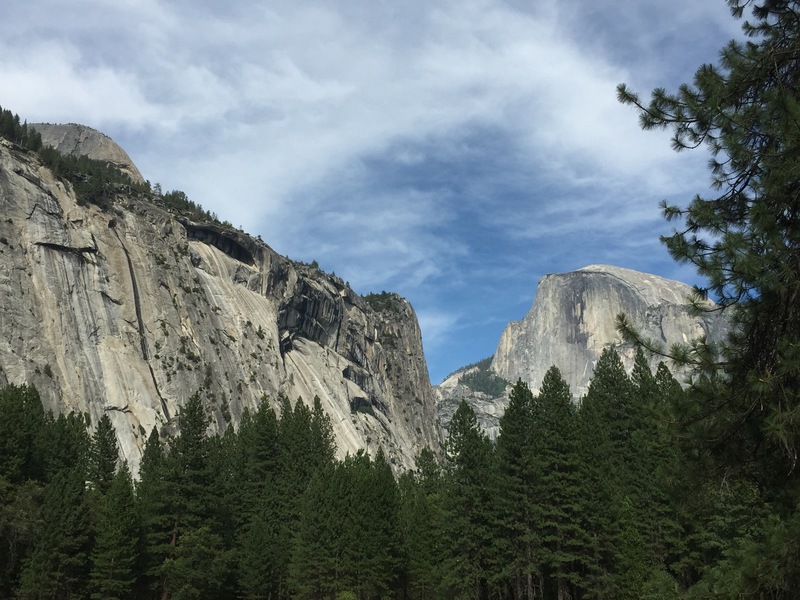 In Yosemite however, the Earth itself was eroded away, thousands of feet of dirt and rock, obliterated by the ages, revealing the massive formations deep underground, which now stand as the mountains of Yosemite. A trek towards the Dome is rewarding in and of itself, even with our goal eternally visible on the horizon, there was no shortage of worthy distractions to steal away our attention. 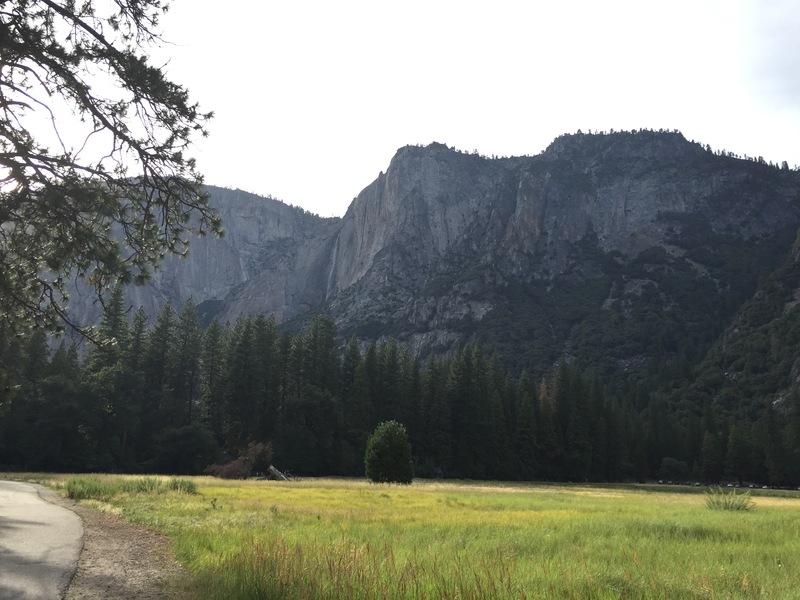 To say Yosemite is the land of giants would be an understatement, everything in sight only serves to dwarf you entirely, to highlight the significance of the place, it’s a privileged feeling, one that will undoubtedly drive me to return. Anyhow, having had enough of the main trails and the perpetual stream of cyclists clogging up the view, we decided to take our own path through the forest to find our own view of the Dome. We walked for hours through the forest, the tranquil ambience broken only by exclamations of unadulterated wonder as we passed through the most beautiful forest you could ever hope to find. 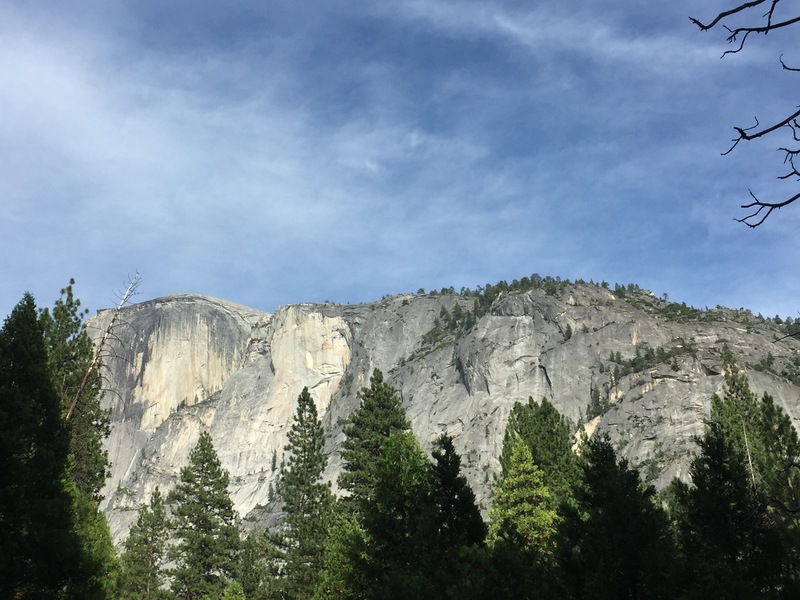 Our field of vision dominated by the soft green of the Sequoias, we entered what appeared to be a small clearing in the forest, and looked up to see the Half Dome, poised 8000 feet above us, it’s granite faces a more dignified sight than I could ever hope to put into words. In fact there aren’t words, nothing to describe how I felt looking up at this ancient landscape, the history, the majesty, the raw magnitude of the land. It was physically staggering, literally breathtaking, I couldn’t even think, it was all I could do to simply gaze up at the visage presented to me. 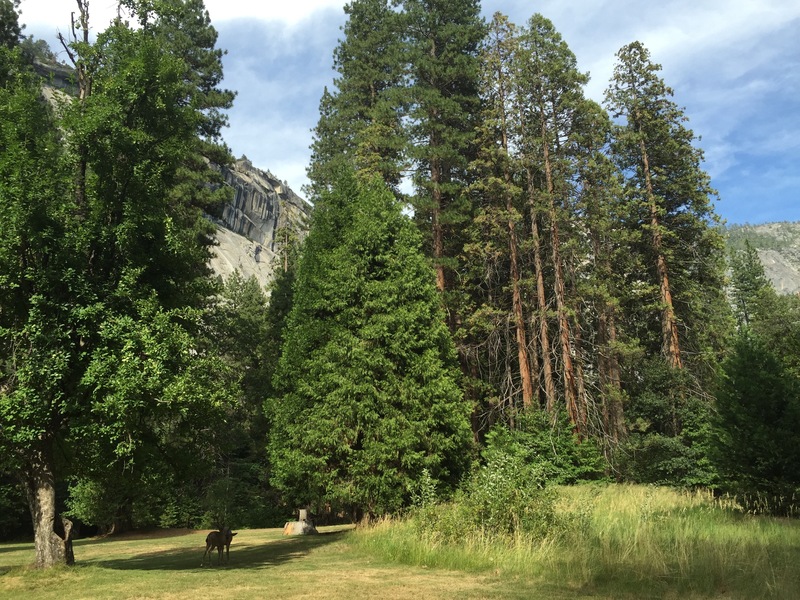 Our hike ended there, at the foot of Half Dome, about a mile from the clearing where we stopped. Begrudgingly, we turned around and prepared for the 4 mile trek back to our vehicle. The valley saw fit to bestow upon us a parting gift however, in the form of a sunset. 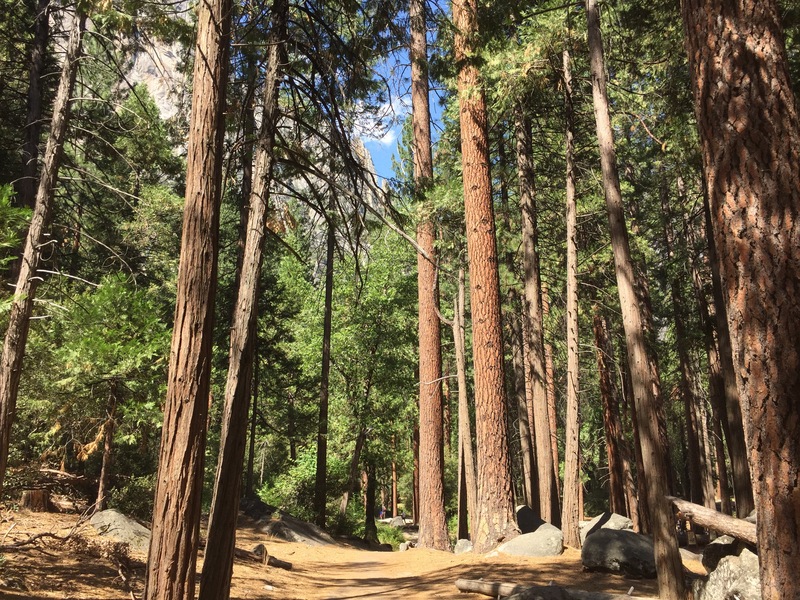 As we walked through the 200 foot wall of Sequoias, the light became truly immaculate, and we captured some of the best photos I’ve ever seen. 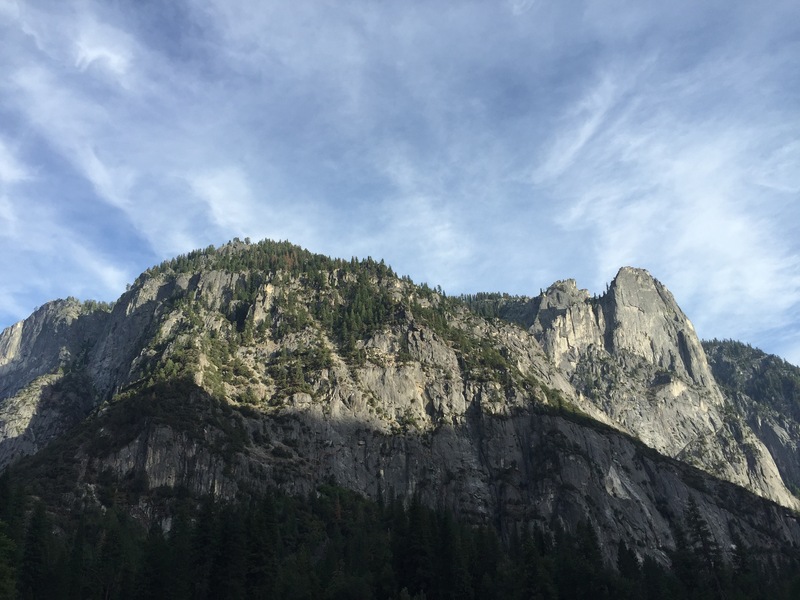 The sun went down just as we left the park, striking the mountains in such a way as to magnify their grandeur tenfold. A soft yellow became the trees, as the valleys were split asunder by the light, half green and half gold. 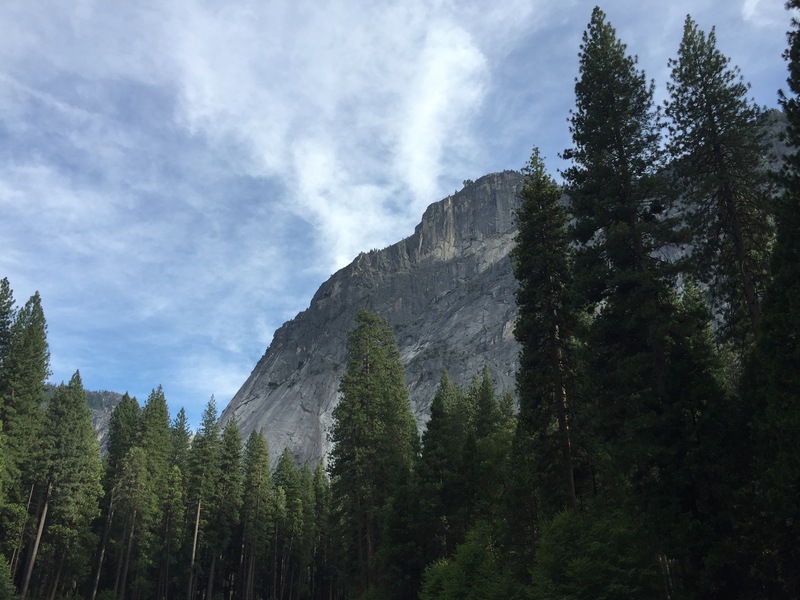 The winding mountain paths back down hailed our arrival at the edge of the Sierras, a truly sad moment as it meant admitting my time in Yosemite had come to a close. I’ll be back soon though. Nothing could possibly keep me from this sacred place.